Japan is one win away from qualifying for its sixth consecutive World Cup after grinding out a 1-1 draw away to Iraq on Tuesday.Yuya Osako opened the scoring early for Japan, but Mahdi Kamil equalized midway through the second half as the Group B sides shared the points in the Iranian capital.With two games left in the Asian final qualifiers, group leader Japan improved to 17 points, one point ahead of Saudi Arabia and Australia. 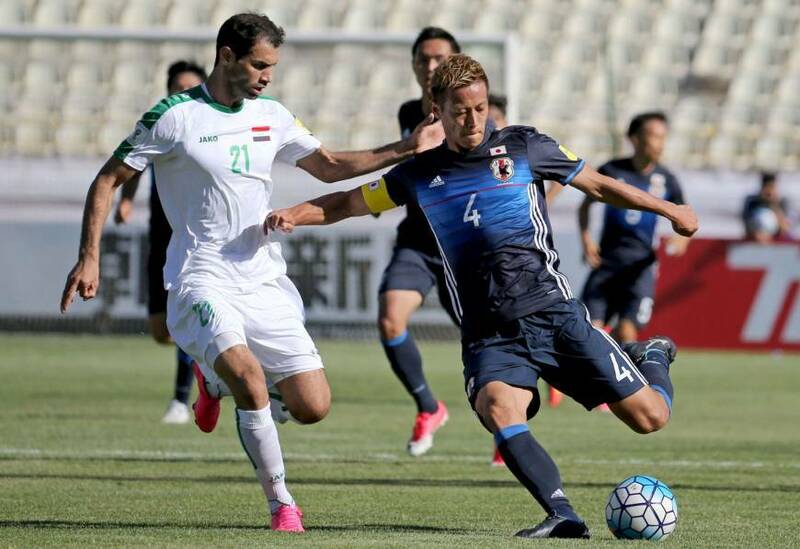 In Group B, Japan was held to a 1-1 draw by Iraq, while South Korea lost 3-2 away to Qatar in Group A.Yuya Osaka scored a header early for Japan in the match in Tehran, where Iraq plays its home games for security reasons. But Mahdi Kamel equalized in the second half for Iraq, which has already been eliminated from qualifying.Japan leads the group by one point ahead of Saudi Arabia and Australia with two games remaining.Japan will host Australia in August and then play in Saudi Arabia in September. In Group A, South Korea has work to do to reach a ninth successive World Cup after losing in Doha.Two goals from Hassan Al Haydos proved decisive for Qatar. He opened the scoring with a free-kick after 25 minutes and Akram Afif added a second six minutes after the restart.Goals from Ki Sung-yeung and Hwang Hee-chan brought South Korea level with 20 minutes remaining, but Al Haydos scored Qatar's winner in the 75th.South Korea stays second in the group but is just a point above third-place Uzbekistan and travels to Tashkent for the final game in September.